Will any political party will stand up for the rights of refugees and people seeking asylum? Do the votes of refugees, anti-racists and supporters of human rights and migrants rights count? Do the candidates support the creation of a “hostile environment” for some people coming to live, seek safety or work in this country? How will the candidates challenge racism and xenophobia towards refugees and migrants? The meeting is at 7pm Victoria Hall S1 2JB in the centre of Sheffield, opposite the Crucible Theatre (see Get directions to Victoria Hall Methodist Church, Sheffield). The meeting starts at 7pm but doors open at 6.30pm for a cup of tea and a chance to look around the information stalls. After short introductions to the main issues facing refugees and people seeking asylum from the vice-chairs of SYMAAG, the politicians will make short speeches, leaving plenty of time for your points and questions. By the time of the meeting, candidates in South Yorkshire will have all been asked to support 6 key migrants’ rights election pledges. Those seeking asylum should have the right to work whilst in the U.K. 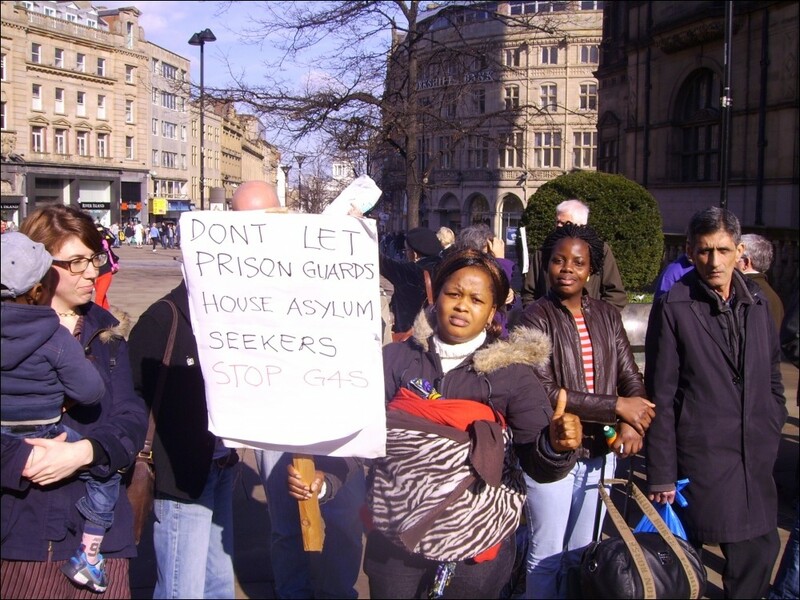 Replace Azure cards with adequate cash support for asylum seekers whilst in the U.K.
End the indefinite detention of asylum seekers and migrants without time limits; and introduce judicial oversight for immigration detention. End the detention of children. 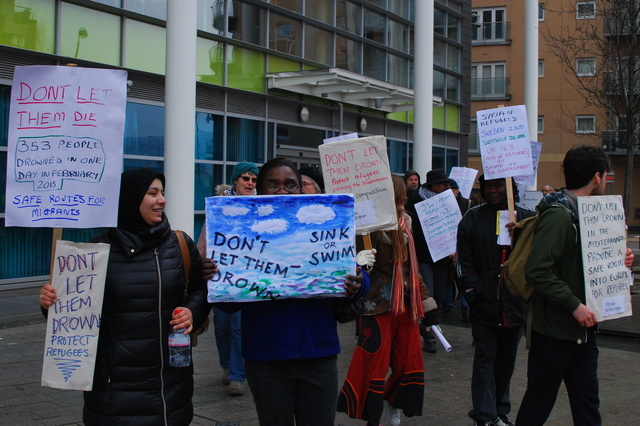 Give those seeking asylum full access to healthcare and to English courses. Restore and give adequate legal aid for immigration and asylum cases; and enough time to make legal representations. Keep families together, whatever their income, by abolishing the income threshold for family members’ visas. For more information on the background to these Election Pledges see SYMAAG General Election Pledges May 2015 Briefing which has also been sent to candidates. For a record of the candidates in the 2010 general election who supported our Asylum Rights Election Pledges see here.